Published: October 21, 2015 2:40 pm Updated: Oct. 21, 2015 10:02 p.m.
A group of five young men who served missions for The Church of Jesus Christ of Latter-day Saints in the Philippines, couldn’t get enough of the culture. In an attempt to stay connected to the country after they returned, Connor Peck, Davis Blount, Tylan Glines, Jake Mingus and Sumner Mahaffey created the Hey Joe Show, " a multi-platform social media group dedicated to celebrating and exposing Filipino culture to a global audience," according to the group's website. The group's YouTube channel has acquired more than 53,000 subscribers since April 2014. 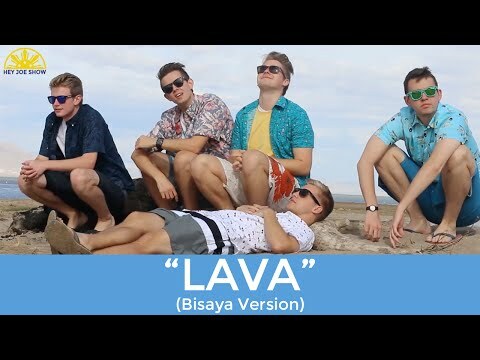 In their most recent video, the group performs a cover of “Lava" — the song from the Disney-Pixar short film that played in theaters before “Inside Out” — in their mission language, Bisaya. The video was posted Tuesday on Facebook and YouTube, garnering more than 18,000 views total. “The purpose of Hey Joe Show is to make Filipinos happy. We want to make Filipinos as happy as they’ve made us,” Mahaffey explained in a video posted to the group's Facebook page on Oct. 14. Alex Johnson writes for the Faith and Family sections of DeseretNews.com.